SEO marketing is very much popular these days and every company is trying to make it big through new social media marketing strategies. To make it in this world, you need to know the common terms used to get to know and make the target audience. Here is my list of words which I find can help you understand the situation more easily. Yes, all kinds of communications are social but it’s good to know what kind of communication goes on in what kind of social networking site. Communication and style is different in each website and it helps if you can distinguish between them. Earlier people used traditional forms of marketing like cold calls, media, ads, etc. But now inbound marketing ahs overgrown outbound marketing. It’s more civil, interactive and customers find it more at home with companies through this. 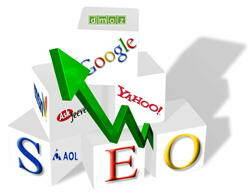 Content marketing and SEO are some examples of such direct methods. Now this is something which almost everyone knows about non promotional material is promoted through site content, blogs, e books and comments. Creating good content is something which tells customers how good you are. Short, crisp and informative content is the key to gaining customers.